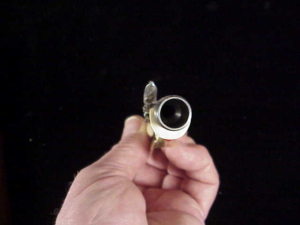 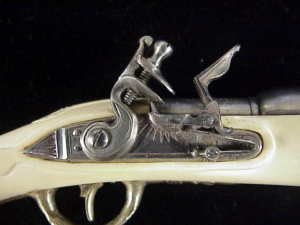 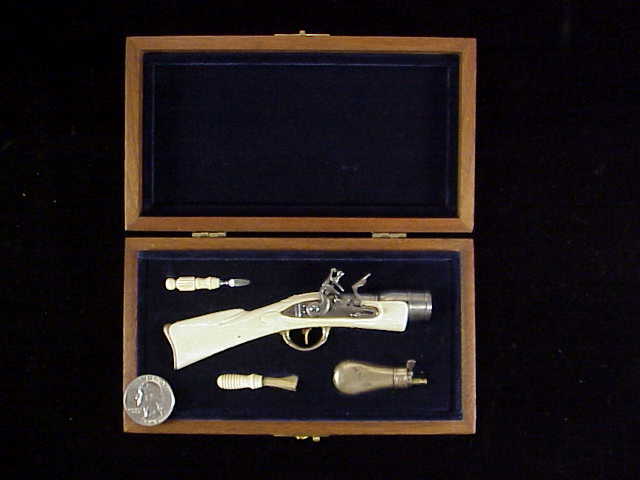 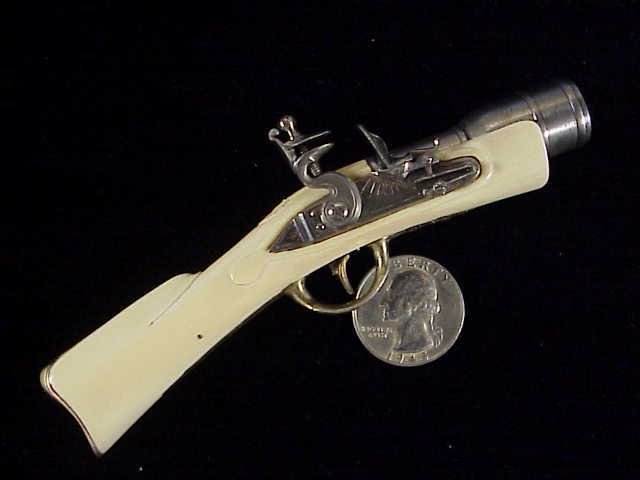 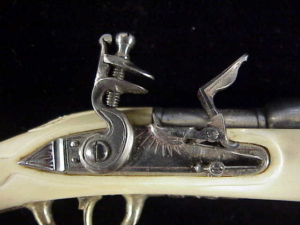 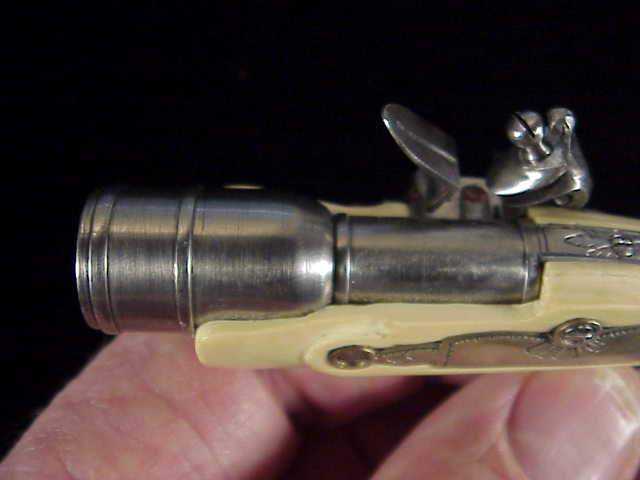 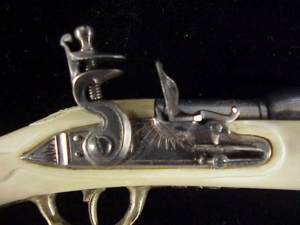 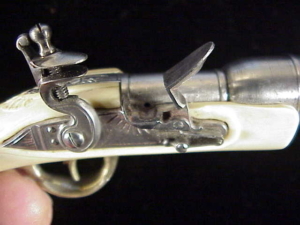 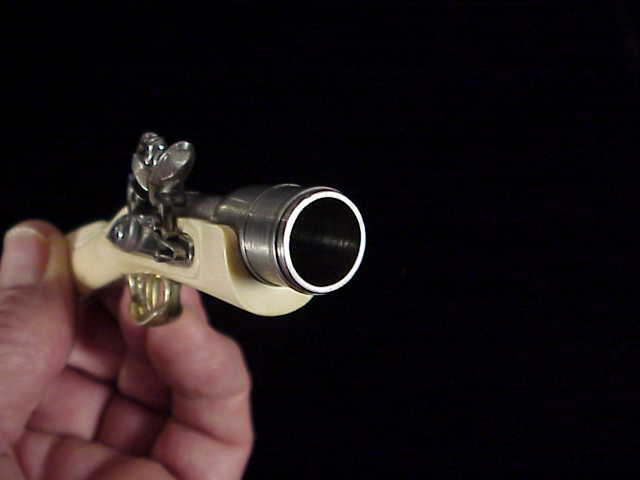 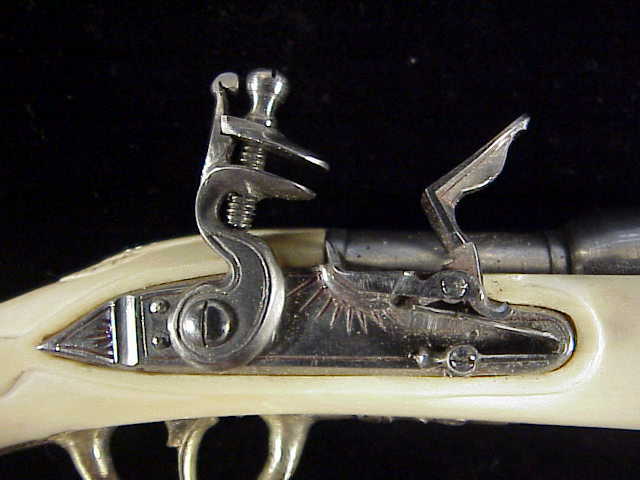 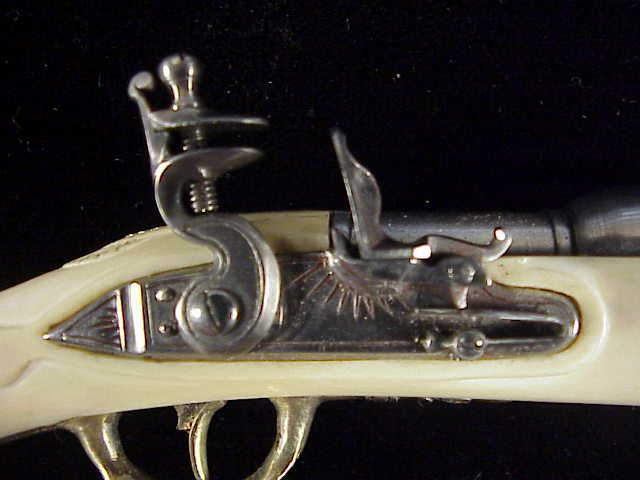 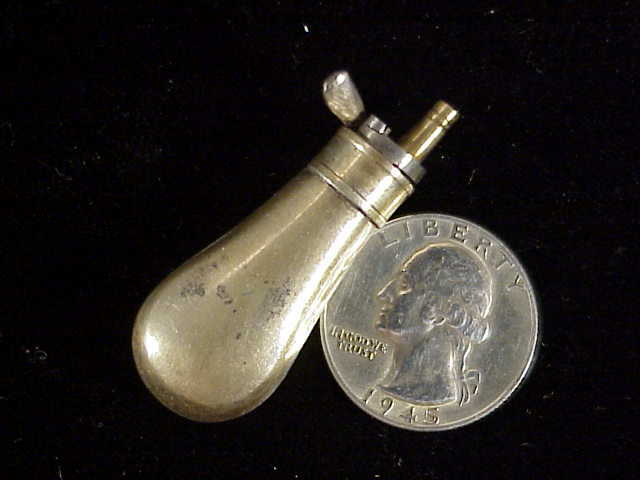 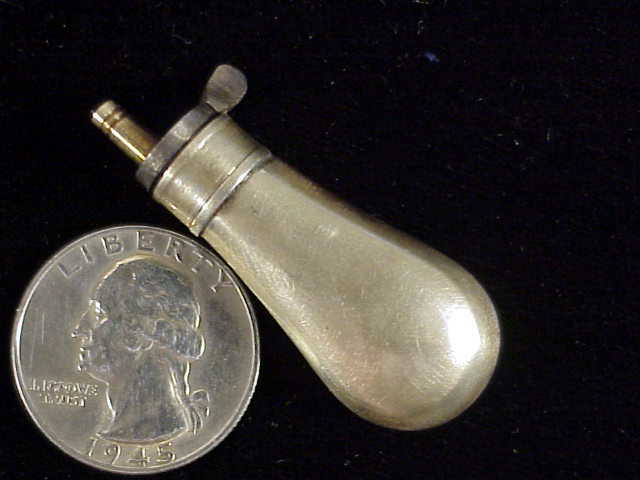 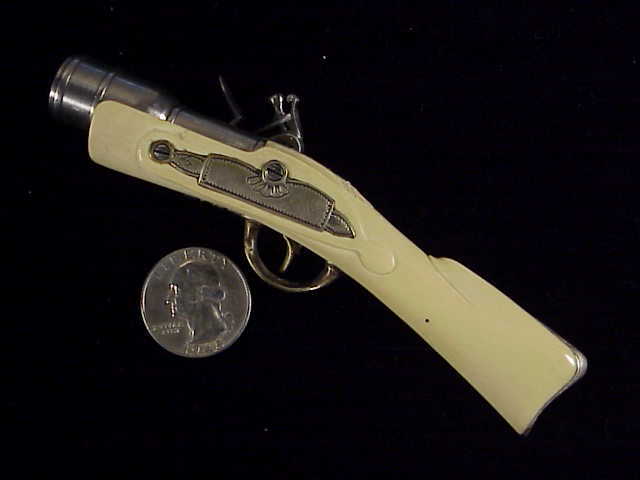 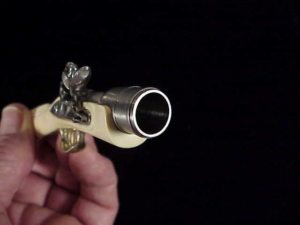 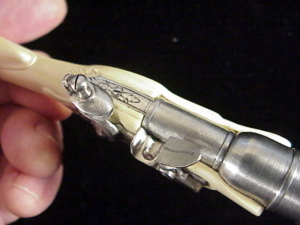 This is a 1/4 scale ivory stocked flintlock grenade launcher by master miniature maker Stanley Blashak of Pennsylvania. 5″ long overall with a 1 25/32″ steel barrel finished in the white. Nicely engraved barrel tang, buttplate, and triggerguard. 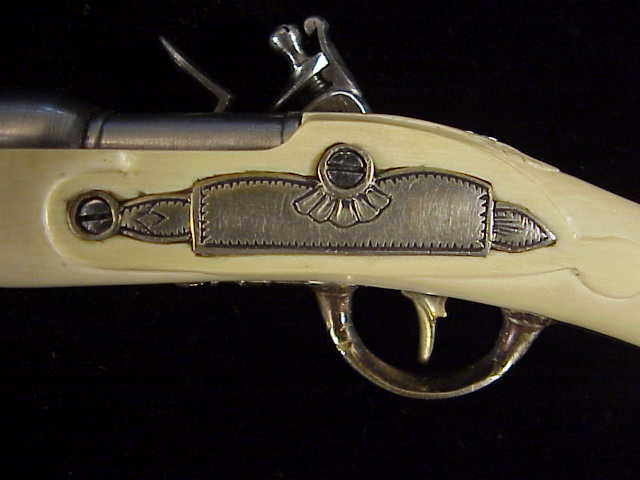 Steel lock, hammer, frizzen, pan, trigger, & barrel tang, all finished in the white. 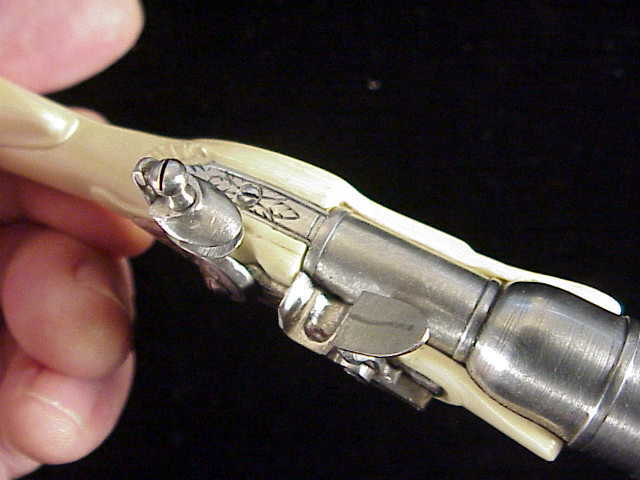 The buttplate, sideplate, trigger, & triggerguard are silver plated. 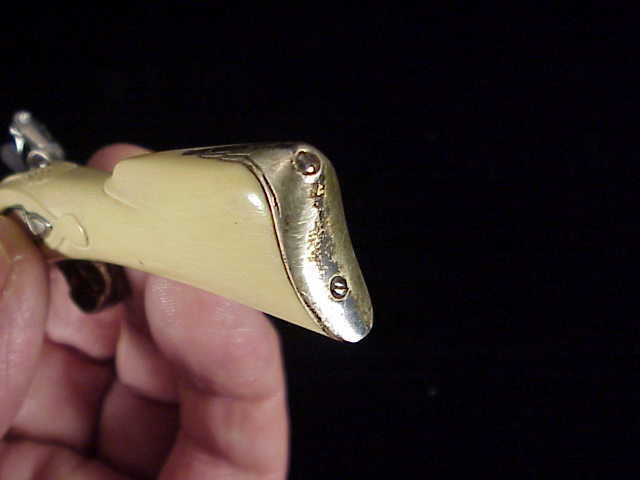 Ivory stock with some nice carving at the rear barrel tang, some nice grain, a nice mellow aged patina. 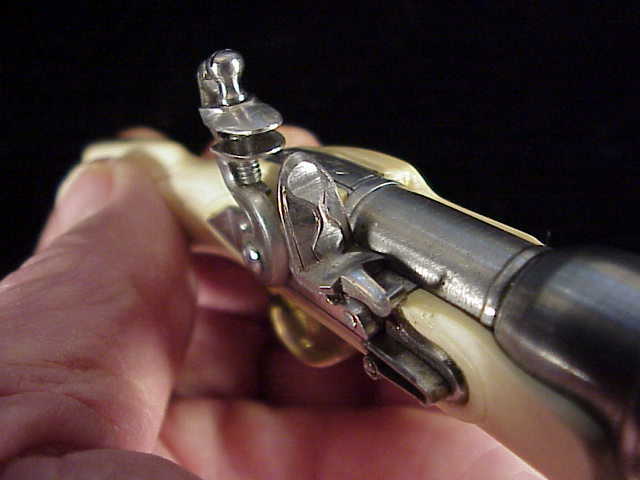 Fully functional with a nice crisp lock. 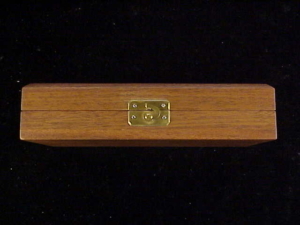 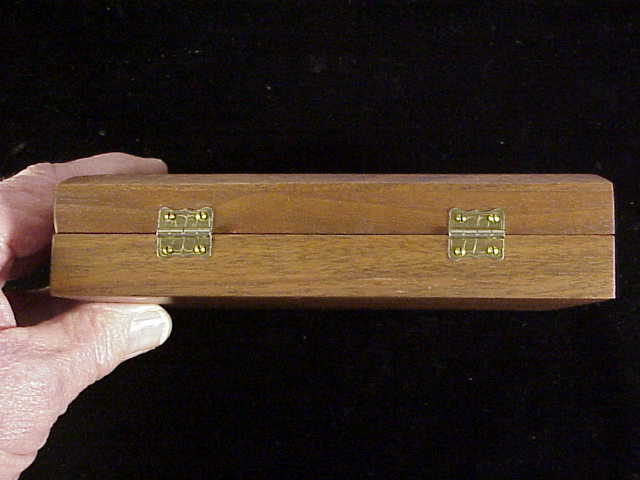 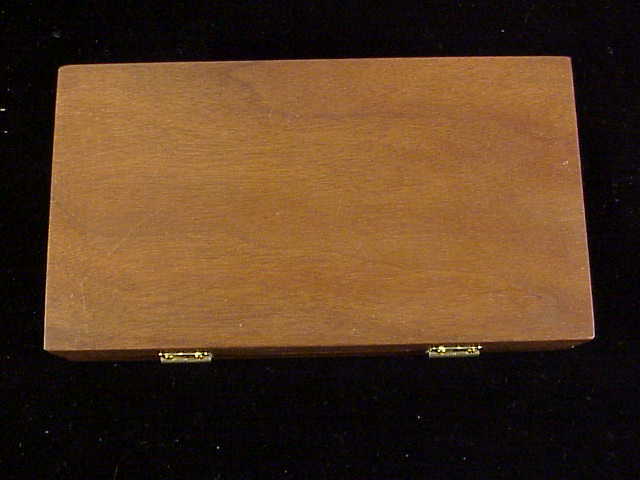 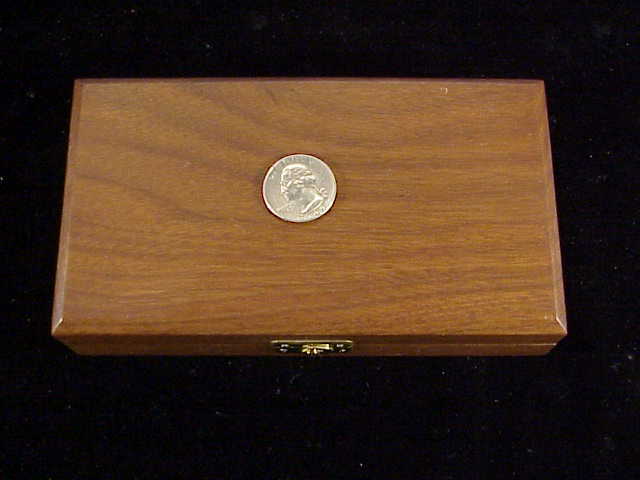 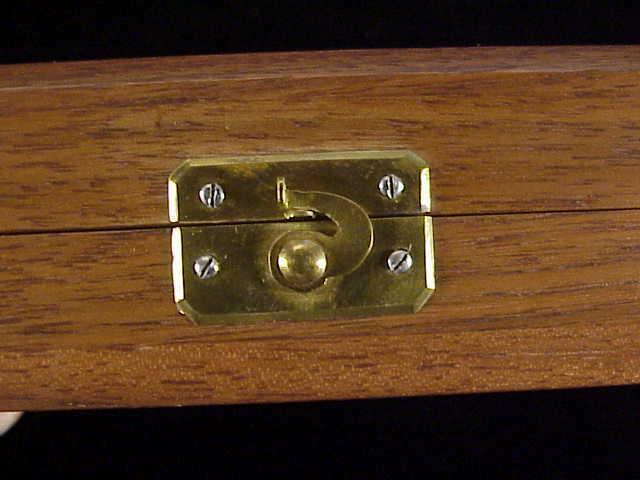 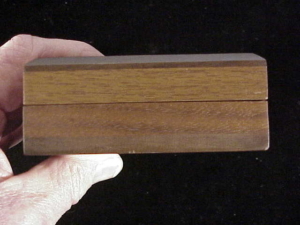 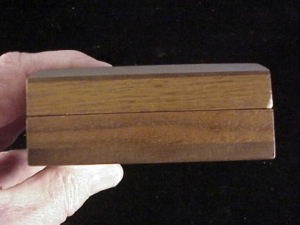 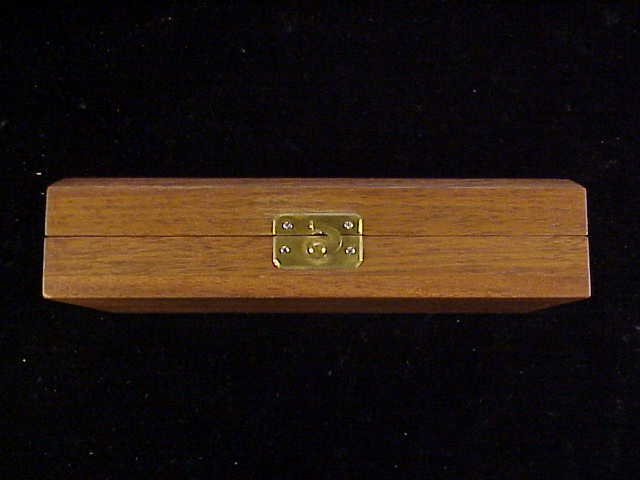 Cased in a hinged top walnut casing with flip latch. The interior French fit and lined with black felt. 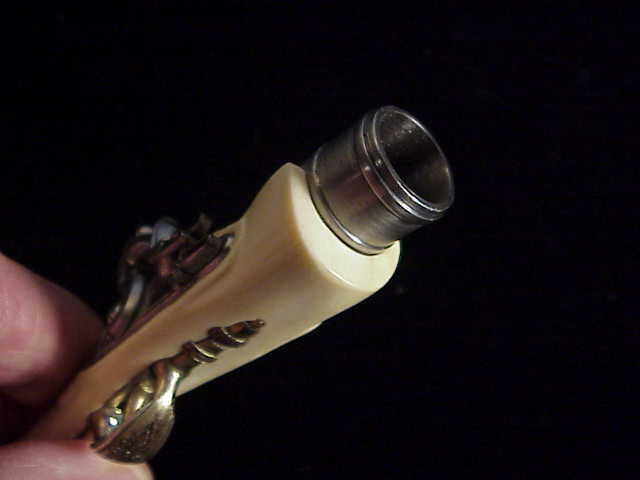 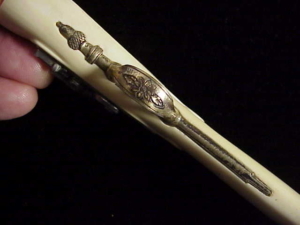 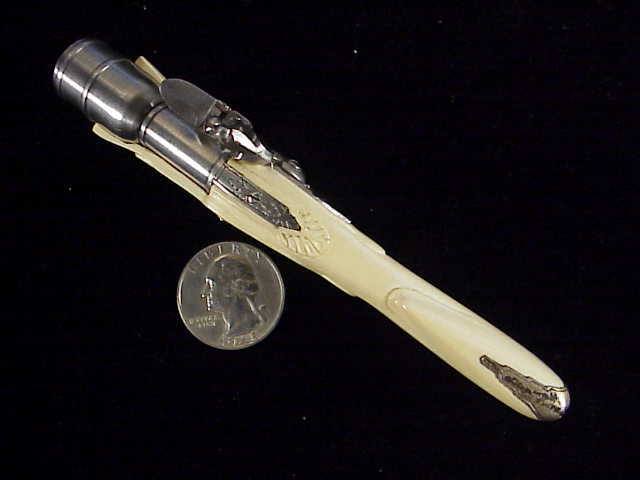 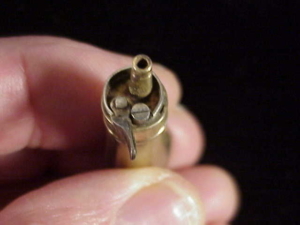 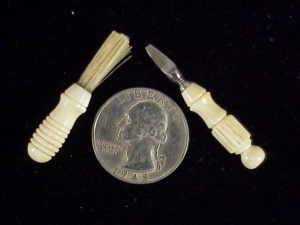 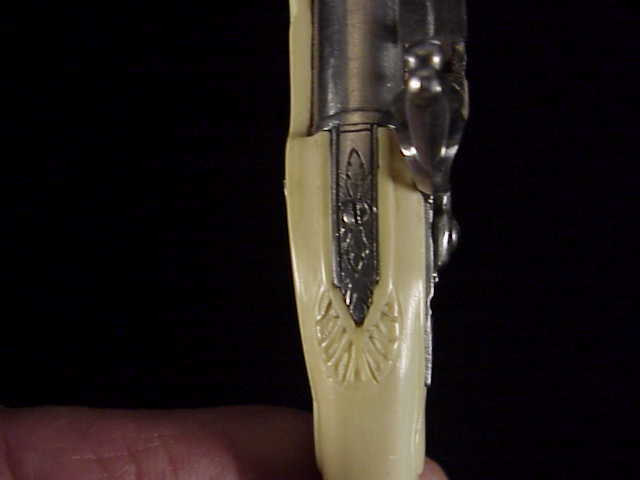 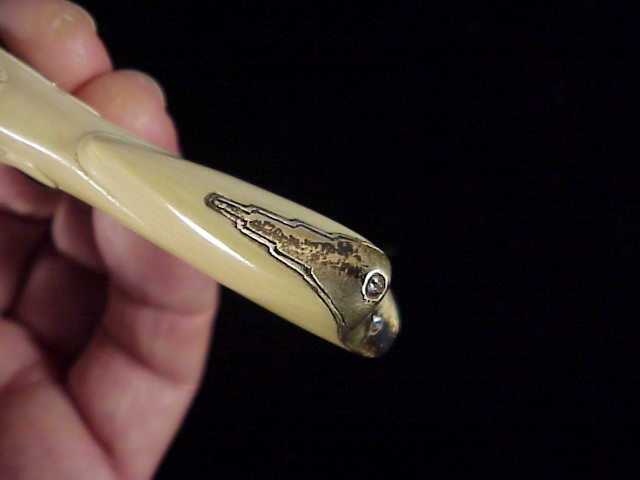 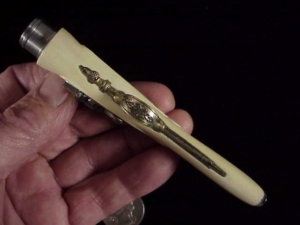 Accessories include a silver plated brass powder flask, an ivory handled screwdriver, and an ivory handled brush. 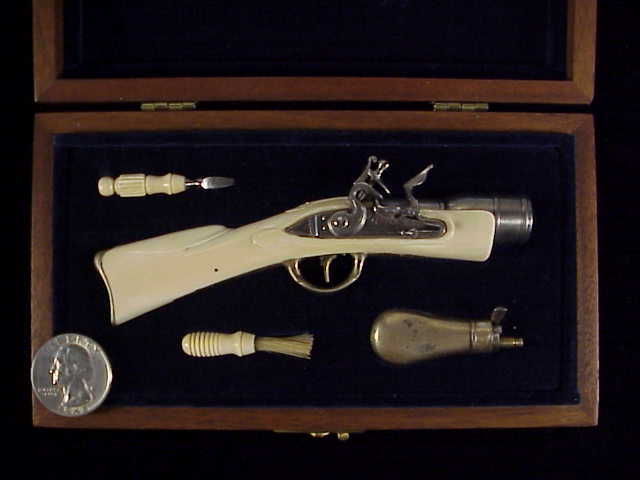 Stock # JM-68. Price: $2,850.00.